New tax measure to fight homelessness also under review. The Los Angeles County Board of Supervisors voted Tuesday to put a measure on the November ballot that would levy a one-and-a-half cent per square foot parcel tax on properties countywide to fund parks development and maintenance. They also approved a motion to draft three potential tax measures for the November ballot to increase funding to address homelessness. The board directed Chief Executive Officer Sachi Hamai to present proposals at next Tuesday’s meeting for a parcel tax, sales tax increase or marijuana tax. The votes come on the heels of a Los Angeles City Council decision last week to ask voters to authorize $1.2 billion in bonds to address the city’s homelessness problem, rejecting a competing proposal for a city parcel tax measure. If approved by voters, the parcel tax to fund park services is estimated to raise roughly $95 million annually. The annual tax bill for a 1,500-square-foot house would be $22.50. Supervisor Hilda Solis, who recommended pushing the measure forward, said it was a small price to pay. The board’s vote was 3-1. Supervisor Don Knabe voted against the measure because a sunset clause that would end the tax in 35 years was eliminated. Supervisor Michael Antonovich was absent for the vote. Solis pointed out that the new measure seeks to raise only about $10 million more than the original proposition. Voters are expected to consider several revenue-generating measures in November, including the Measure R half-cent sales tax for transportation and a statewide measure to renew income tax increases to fund education, as well as the parcel tax to fight homelessness being pushed by Supervisor Mark Ridley-Thomas, who said Tuesday it’s “time for the board to identify an ongoing funding stream” to put before voters in November. Supervisor Sheila Kuehl, who co-authored Solis’ motion, took a different perspective. At the time, Ridley-Thomas, who represents the Second District, had pressed for more dollars to be allocated to underserved areas. The parks assessment found that about 51 percent of county residents do not live within a 10-minute walk of a park. The incidence of health problems like asthma, diabetes and heart disease is higher in park-poor communities, said Cynthia Harding, interim director of the county’s public health department. Chamber CEO Gary Toebben told the board that transportation and homelessness are the organization’s local priorities and that it wasn’t “strategic” to add another measure to a ballot expected to include 17 state propositions. Toebben also objected to the fact that commercial property owners would pay nearly two-thirds of the total tax raised. 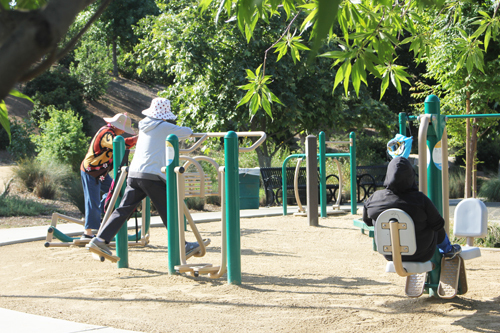 Priorities for spending the money — should the measure pass — have been set based on meetings with residents from 188 study areas aimed at identifying each community’s top 10 parks projects. Thirty-five percent of funds will be tagged to pay for those projects. Even if the measure passes, the county will only have a fraction of the money needed to complete the $8.8 billion in priority projects identified by the area study groups and another $12 billion in deferred maintenance. July 7, 2016 Copyright © 2012 Eastern Group Publications, Inc.